I’ve been looking for a laser cutter for years, I couldn’t find a way to justify it the way I did my 3D printer, but I wanted it just the same. After asking for this as a birthday present for years, I finally guilted my family into buying one. I could never justify buying one for myself, not even the relatively cheap Chinese version that I got off eBay. However, it is just the most satisfying thing to see stuff burning and vaporizing without a blade in site. 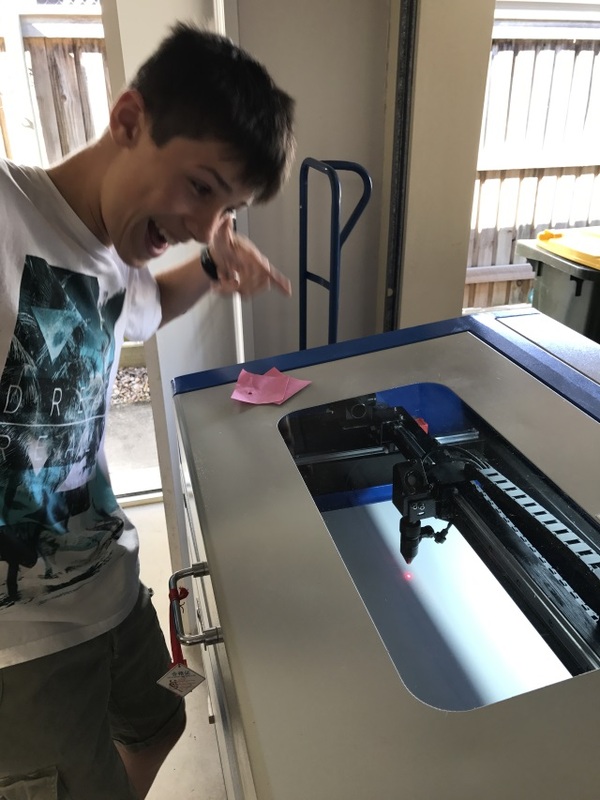 Here’s the first test ‘cut’, just a hole through some paper, but the reaction from my son sums it up nicely.